‘Aankhen 2’ Announced With An Explosive Cast! The sequel of Aakhen movie has been announced and the cast is already looking better, with Amitabh Bachchan and Arjun Rampal reprising their roles. 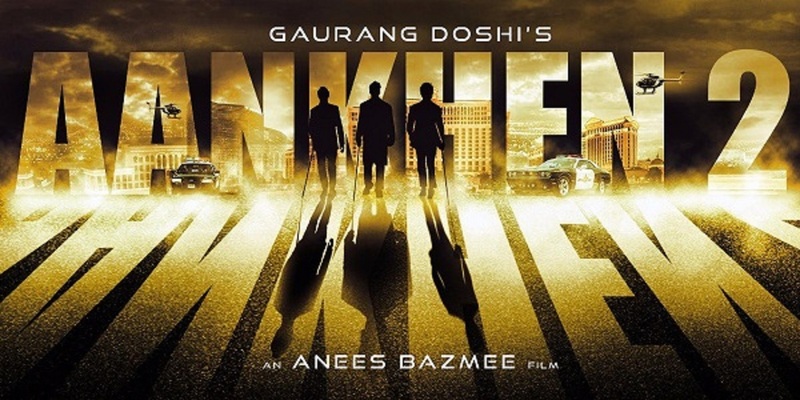 Aankhen, the 2002 caper that had 3 blind men robbing a bank still stands as one of the best Hindi-language thrillers ever put on screen. It had Amitabh Bachchan as a genius schemester, with Akshay Kumar, Paresh Rawal and Arjun Rampal playing the blind men and Sushmita Sen as their instructor. Now, the sequel to the hit movie has been announced and the cast is already looking better, with Amitabh Bachchan and Arjun Rampal reprising their roles, and Anil Kapoor, Arshad Warsi and Ileana D'Cruz joining the party. The movie will be directed by Anees Bazmee. The first one was directed by Vipul Shah.